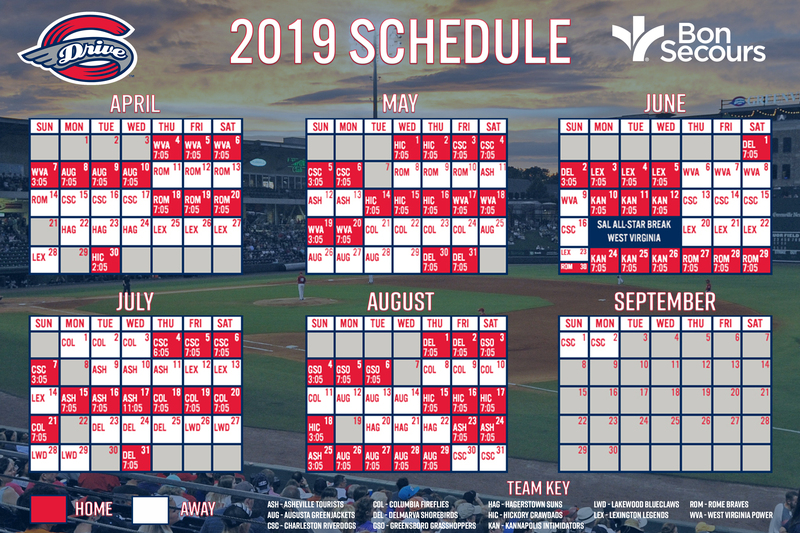 Columbia, SC - The Greenville Drive combined a terrific start from Denyi Reyes and a 12-hit offensive night to defeat the Columbia Fireflies 4-2 in Wednesday's 4th of July contest. 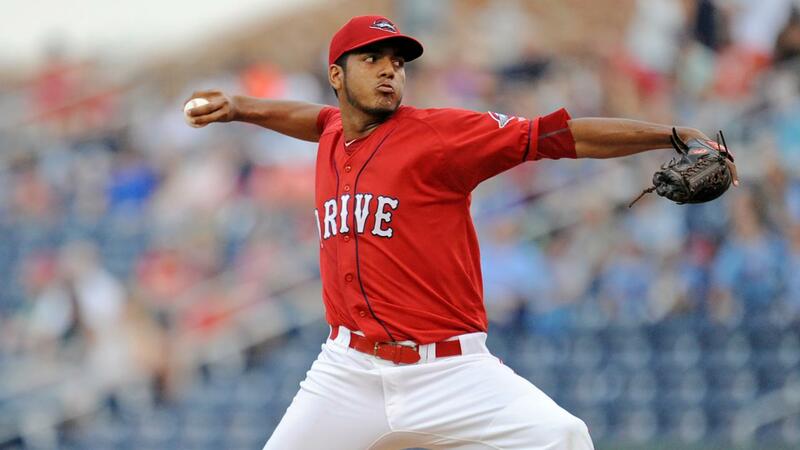 Reyes (7-3) hurled a complete game shutout in his last outing against the Fireflies (7-6, 41-39), and he followed that up with eight terrific innings on Wednesday. The right-hander scattered five hits and allowed two runs while striking out five. The Drive (6-8, 31-52) took a 3-2 lead in the top of the fifth. Ryan Fitzgerald laced a one-out triple to center field off Nicolas Debora (1-2), and he came home on Victor Acosta's game-tying single. Garrett Benge followed with a go-ahead double to right field to bring Acosta in. Benge struck again in the seventh with an RBI single to plate Fitzgerald, stretching the Drive lead to 4-2. Both Benge and Fitzgerald finished the night with three hits for Greenville. Benge drove in two runs, and Fitzgerald scored twice. Columbia took a 1-0 lead in the bottom of the first when Edgardo Fermin began the inning with a solo homer to left-center off Reyes. The teams traded runs in the top of the third inning. Acosta's fielder's choice scored Frankie Rios, who hit a one-out double, and Blake Tiberi lined an RBI single to center in the bottom half. Dominic LoBrutto pitched a perfect ninth inning to log his second save for the Drive. Jordan Wren joined Benge and Fitzgerald with multi-hit nights by going 2-4 at the plate. Thursday's contest in Columbia will begin at 7:05. Right-hander Kutter Crawford (2-4, 2.95) takes the ball for the Drive, and the Fireflies will counter with right-hander Tony Dibrell (3-3, 3.34).